A debut legal thriller that delivers. 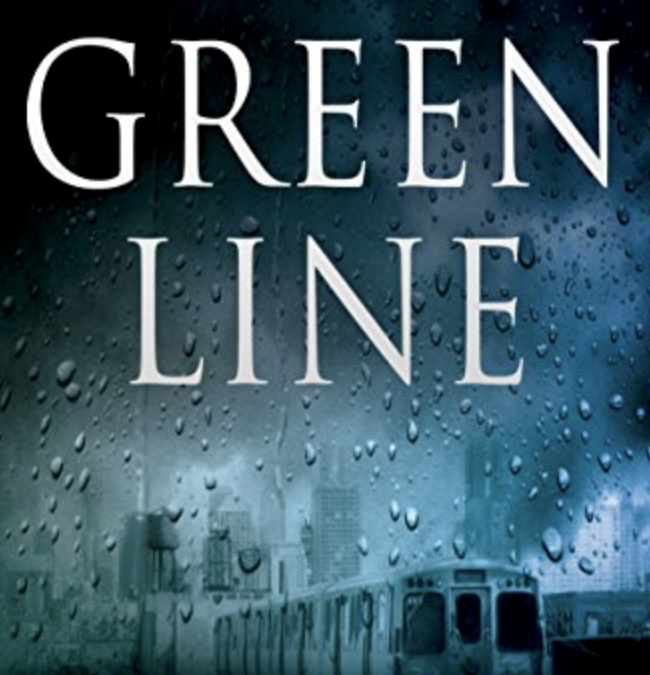 Abby Donovan is an associate at a prestigious law firm in Chicago working 80+ hour weeks on her quest to become partner, when she accidentally takes the Green Line train on her way home. Stranded in gritty west Chicago, she stumbles on a horrific crime that changes her life. Unable to forget the gangs, drugs, or violence, she reconnects with the good samaritan immigrant who rescued her that night and helps him defend himself against unjust charges brought by the local police force. When the good samaritan ends up dead a few days later, the apparent shooter in a murder-suicide, Abby doesn’t believe the official story. She turns her back on her career and teams up with an undercover cop to expose a crime ring involving police brutality, bribery, theft, and murder. What I loved most about The Green Line was the legal expertise E.C. Diskin brought to the page. A lawyer by trade, Diskin skillfully wove in a fascinating backstory of questionable government property seizure and showed how fine the line is—a line most of us take for granted in our safe, middle-class lives—between being on the right and wrong side of the law, a line that can be crossed as easily as taking a different train into a world not our own. I found this book especially illuminating in the dawn of 2017, when the structures of our legal system are being ordered to divide and “protect” us in ways that feel less like protection and more like protectionist garbage. It seems like the time to learn more about our justice system, and E.C. Diskin turns the job into a thrilling ride where, yes (spoiler alert), the crooked guys get it in the end.